Increases in the numbers of earwigs in European vineyards led scientists to study the impact of earwigs on wine. * Earwigs feed on insect pests of grapes, but can be harvested with grape clusters and contaminate them with their bodies or with feces deposited on the grapes. 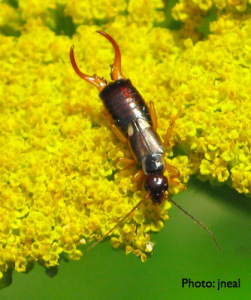 Do the earwigs affect the quality of wine?